Divorce laws vary from state to state. When you visit a family law attorney in Spring, TX, you can receive legal guidance on how Texas family laws could affect your situation. 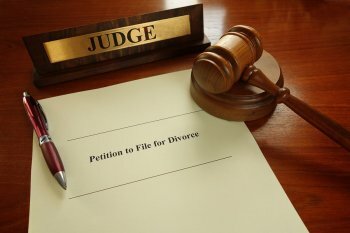 Your family law attorney will let you know what to expect before and after filing the divorce petition. Expect to be asked a few questions about your residency. A family law attorney can only file a divorce petition on your behalf if you have lived in Texas for at least six months. It isn’t necessary for both spouses to be Texas residents. Family law attorneys must file divorce petitions in the counties in which their clients live. Counties can have additional residency requirements. If you live near The Woodlands, you should know that Montgomery County requires a residency of at least three months before a divorce petition is filed. After a divorce petition is filed, and despite the fact that you and your spouse can quickly resolve all issues out of court, you usually must wait 60 days to finalize the divorce. Again, this waiting period begins after the attorney files the initial petition. Many people assume that it isn’t necessary to have a last will and testament if their estate is small. But in fact, every adult who has a minor child should visit an estate planning attorney to have a will drafted near Conroe, TX. A will can accomplish more for you than merely designating beneficiaries for various assets. Wills also allow parents to designate guardians in the event that they die before their children reach the age of majority. In addition, a guardian might also be appointed to care for an adult child of a deceased parent if that child has incapacitating special needs. 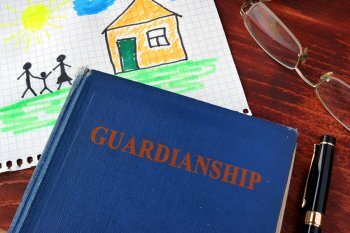 Even if a designated guardian has not been convicted of such offenses at the time that he or she takes custody of the child, their guardianship may be reversed later on if the guardian is subsequently convicted of a criminal offense, or has neglected the child. Legal disputes may also develop if a minor child still has a living, biological parent. Texas law gives preference to appointing the natural parent of a child as the legal guardian. This means that if one of the parents dies, the other parent may petition for custody even if the deceased parent had expressed a preference for another guardian in the will. For example, Mary drafts a will that designates her child’s grandparents as the legal guardians in the event of her death. She prefers that her ex-husband, John, not be appointed as the guardian because of his documented history with substance abuse and prior convictions. In addition to designating a guardian in her will, Mary has her lawyer draft a document that explains and gives evidence of John’s unfitness as a parent. Without evidence of parental unfitness, the court may have given preference to John because of the biological relationship.